It’s an annual tradition for many people to start making important changes to improve health and happiness in the New Year. So why not include your furriest family members in those traditions, too? 1. Reduce carbohydrates in your dog’s or cat’s diet: remember, just because a food or treat is “grain free,” it is not necessarily low in carbs. 2. 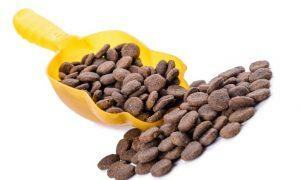 Make MEAT PROTEIN from clean American sources the cornerstone of your canine or feline food choices. 4. Watch for “fractionated” carbohydrate ingredients designed to obscure the fact that a food is very high in cereal, such as several forms of rice (rice bran, ground rice, rice gluten meal, brown rice). 5. Keep sugar in all of its forms out of, or extremely limited, in your pooch or kitty’s food and treats. This includes sugar, evaporated cane juice, high fructose corn syrup, maple syrup, and even honey. 6. Avoid OVER-SUPPLEMENTATION with synthetic vitamins and minerals: foods approved for daily maintenance are already required by law to include a long list of vitamin and mineral supplements. 7. Shop wisely for your pet food or treats, but don’t fall into the trap of looking for the cheapest food your pet will eat OR choosing the most expensive food you can buy! The cheapest is bound to disappoint you with its results, and the priciest may be a very good product but still not right for your dog or cat. 8. Learn to read pet food labels and if something doesn’t make sense or you don’t know what a certain ingredient is or WHY it is there, don’t hesitate to call or write the manufacturer. 9. 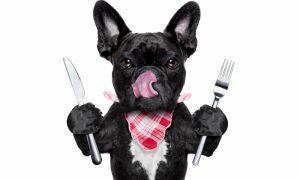 HYDRATE dry dog food, no matter what the quality, for optimum digestion and stomach health. Do this either by simply adding water and allowing the food to absorb moisture, adding canned food, or by using SuperGravy, an award winning dry gravy mix that actually helps moisture to BOND with dry kibble. 10. NO ONE FOOD OR TREAT IS PERFECT FOR EVERY PET! If coats get dull, “stiff,” or greasy, your pet gets a sudden case of the “itchies,” or if you start to see skin irritations sometimes known as “hot spots,” your pet may be developing an allergy or sensitivity to the food or treats you are using. 11. LESS VACCINES: MORE TITER TESTING. Reconsider “routine vaccines” as part of annual vet exams; instead, ask your veterinarian to do blood work and send it out for titer testing by a reputable lab. This testing assesses your individual pet’s level of antibodies to a wide variety of canine and feline diseases. 12. If you have a new puppy or kitten that has NOT yet been spayed or neutered, consider allowing the animal to reach early adulthood (about a year, depending on the breed) before performing these surgeries. Although there is much heated debate on this subject, a growing number are starting to feel that there are significant benefits to having a dog or cat fully develop “adult strength” bones, muscles, and other organ systems before artificially stopping their hormonal and endocrine systems from functioning as nature intends. 13. OLDER DOGS NEED TRACTION! 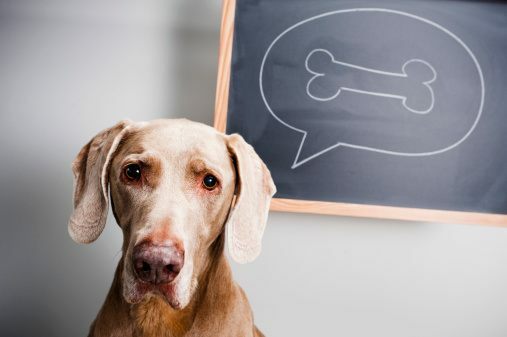 As dogs reach older age, their bones age in the same manner as do human geriatric bones, and this is especially pronounced in large and giant breeds. But you may not realize that your older dog’s mobility issues can be helped with something much simpler than special foods, risky drugs, or even surgeries. Simply survey your home for slick stairways and other slippery areas, and provide “paths” with carpeted stair runners and “path rugs” that connect rooms. Help your older dog to regain some confidence and mobility in 2014! 14. DOUBLE DOWN ON DOGS? Consider becoming a two dog household, if you can afford the cost of food and care for 2 dogs. Dogs with a permanent canine companion are typically much better adjusted and less prone to separation anxiety than single dogs. 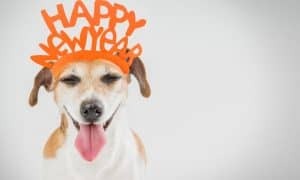 “No list can take the place of being a good student of pet care and nutrition, but it is our hope that these 14 Resolutions for 2014 can lead to a greater awareness of the many ways that we can help keep our special four legged family members healthier and happier,” concluded Bennie. You can learn more about Clear Conscience Pet at their website, www.ClearConsciencePet.com, or by following them on Facebook by clicking here.